Tullio Levi-Civita, the mathematician renowned for his work in differential calculus and relativity theory, died on this day in 1941 in Rome. With the collaboration of Gregorio Ricci-Curbastro, his professor at the University of Padua, Levi-Civita wrote a pioneering work on the calculus of tensors. Albert Einstein is said to have used this work as a resource in the development of the theory of general relativity. 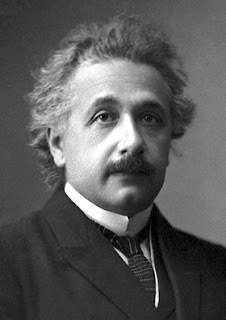 Levi-Civita corresponded with Einstein about his theory of relativity between 1915 and 1917 and the letters he received from Einstein, carefully kept by Levi-Civita, show how much the two men respected each other. 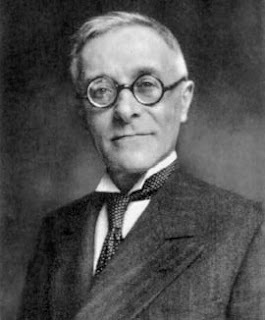 The mathematician, who was born into an Italian Jewish family in Padua in 1873, became an instructor at the University of Padua in 1898 after completing his own studies. He became a professor of rational mechanics there in 1902 and married one of his own students, Libera Trevisani, in 1914. In 1917, having been inspired by Einstein’s theory of general relativity, Levi-Civita made his most important contribution to this branch of mathematics, the introduction of the concept of parallel displacement in general curved spaces. This concept immediately found many applications and in relativity is the basis of the unified representation of electromagnetic and gravitational fields. In pure mathematics his concept was instrumental in the development of modern differential geometry. Levi-Civita also worked in the fields of hydrodynamics and engineering. He made great advances in the study of collisions in the three-body problem, which involves the motion of three bodies as they revolve around each other. His books on these subjects became standard works for mathematicians and his collected works were published in four volumes in 1954. Levi-Civita was invited by Einstein to visit him in Princeton in America and he lived there for a while in 1936, returning to Italy with war looming. He was removed from his post at the University of Rome in 1938 by the Fascist regime because of his Jewish origins, having taught there since 1918. Deprived of his professorship and his membership of all academic societies by the Fascists, Levi-Civita became isolated from the scientific world and in 1941 he died at his apartment in Rome, aged 68. The University of Padua, where Levi-Civita studied and later taught, was established in 1222 and is one of the oldest in the world, second in Italy only to the University of Bologna. The main university building, Palazzo del Bò in Via VIII Febbraio in the centre of Padua, used to house the medical faculty. You can take a guided tour to see the pulpit used by Galileo when he taught at the university between 1592 and 1610. Right in the centre of Padua, the Caffè Pedrocchi has been a meeting place for business people, students, intellectuals and writers for nearly 200 years. 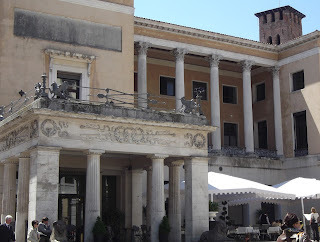 Founded by coffee maker Antonio Pedrocchi in 1831, the caffè was designed in neoclassical style and each side is edged with Corinthian columns. It quickly became a centre for the Risorgimento movement and was popular with students and artists because of its location close to Palazzo del Bò, the main university building. It became known as the caffè without doors, as it was open day and night for people to read, play cards and debate. Caffè Pedrocchi is now a Padua institution and a must-see sight for visitors, who can enjoy coffee, drinks and snacks all day in the elegant surroundings.